Japan's ABE siblings ruled the world for Japan on day two of the World Championships in Baku, Azerbaijan. Junior World Championships gold medallist ABE, 18, won -52kg gold on her senior Worlds debut. 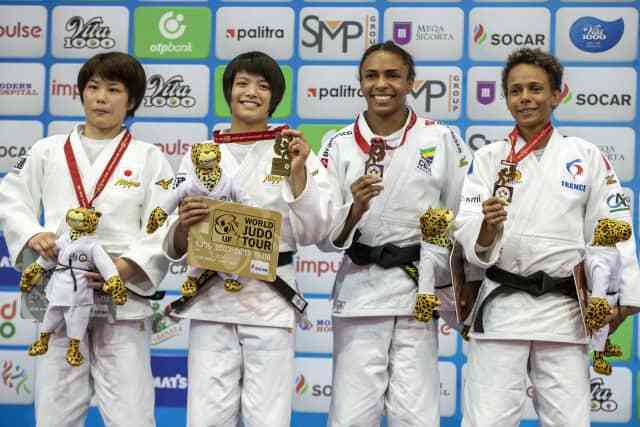 The Paris Grand Slam winner maintained her unbeaten on the IJF World Judo Tour since 2016 by winning all five of her contests by ippon. 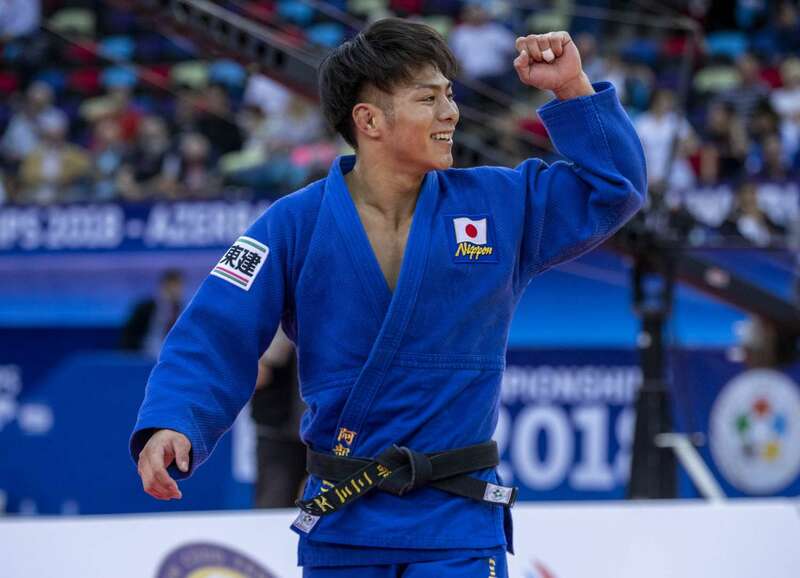 ABE, who has now won 29 contests in a row, dethroned defending champion SHISHIME Ai (JPN) in the final with a spectacular ippon after 53 seconds of golden score. In the first semi-final Amandine BUCHARD (FRA) fell to ABE in just 26 seconds. ABE rushed out to the centre of the mat and attacked immediately and went through several phases before wrapping up a thrilling victory. The Japanese youngster armlocked her French rival for ippon to secure her place in the -52kg gold medal contest. In the second semi-final four-time world medallist Erika MIRANDA (BRA) was humbled by SHISHIME. The Japanese edged out the Brazilian with the only score of the contest. MIRANDA was caught with a uchi-mata which earned a waza-ari score after 30 seconds and that’s how it stayed. In the first bronze medal contest MIRANDA submitted world number seven Jessica PEREIRA (BRA) with a koshi-jime strangle after 18 seconds. World Championships newcomer PEREIRA has an uphill task to become Brazil’s number one at the weight on the road to Tokyo 2020 with MIRANDA clearly still in her prime after a fifth World Championships medal (one silver and four bronze). In the second bronze medal contest BUCHARD defeated London 2012 Olympic bronze medallist Charline VAN SNICK (BEL). World number one BUCHARD left the mat in tears after catching her opponent with a yoko-otoshi for a waza-ari score. The high-flying French fighter stopped in her tracks moments after a celebratory embrace with her coach as she let all of her emotions pour out and savoured the moment. Defending world champion ABE Hifumi (JPN) won the second World Championships gold medal of the day for the ABE household and for team Japan. ABE watched his sister win the -52kg title from the warm up area just minutes before he took his place in the -66kg final. The unique double is one of the most incredible achievements in the history of the World Championships as the poster figures for Tokyo 2020 shared their sublime skills with the world. The superstar siblings, who were competing together at a World Championships for the first time, were mobbed by the world’s media in the mixed zone as their achievements have deservedly made them household names in Japan and around the world. ABE Hifumi, who was undefeated from 2015 until the summer of 2018, was clearly inspired by watching his sister’s final as he used the same technique as his sister to win world gold. ABE Hifumi is not known for his uchi-mata but employed the throw for ippon and his second World Championships gold medal. 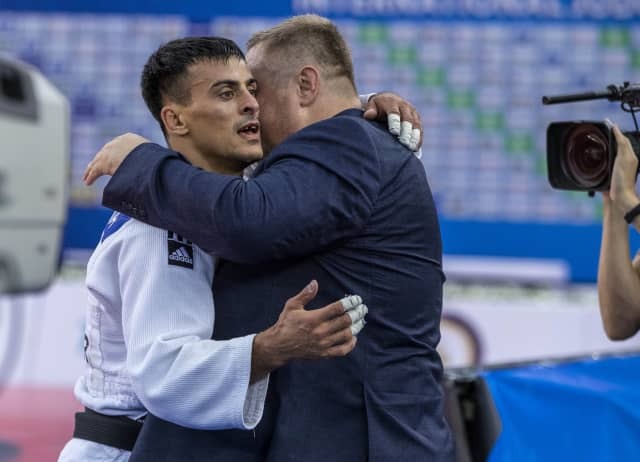 The Japanese proved too strong for unseeded and unfancied world number 36 Yerlan SERIKZHANOV (KAZ) who was a revelation in Baku. In the first semi-final 2017 world bronze medallist Tal FLICKER (ISR) was stunned by Worlds debutant SERIKZHANOV in golden score. After 95 seconds of additional time, the Kazakh threw FLICKER (ISR) with an o-soto-gari much to the delight to the large group of travelling fans from his homeland. 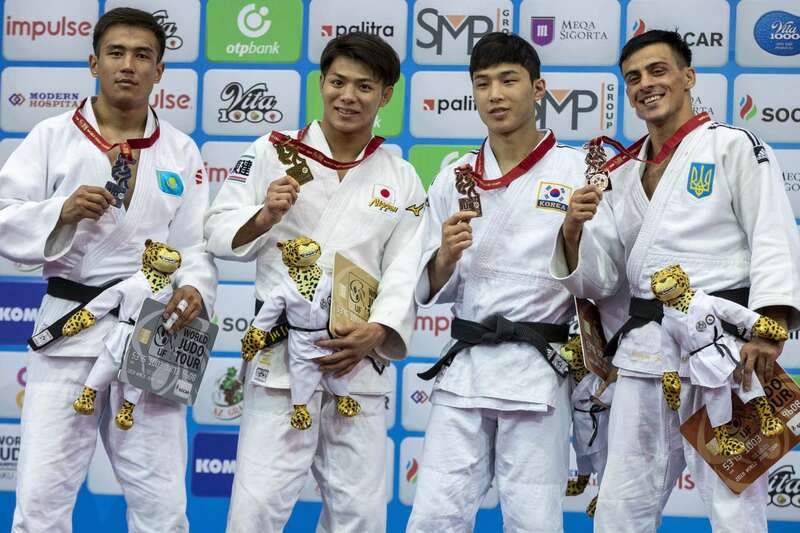 The Tunis Grand Prix bronze medallist had guaranteed Kazakhstan their first medal in the competition. In the second semi-final Olympic silver medallist AN Baul (KOR) was undone by ABE who pulled away from his adversary after two and a half minutes of golden score with his trademark sode-tsurikomi-goshi. Both judoka are two of the best in the world and their growing rivalry will no doubt take centre stage again on the IJF World Judo Tour in the near future. In the first bronze medal contest AN defeated Junior world champion Daniel CARGNIN (BRA). 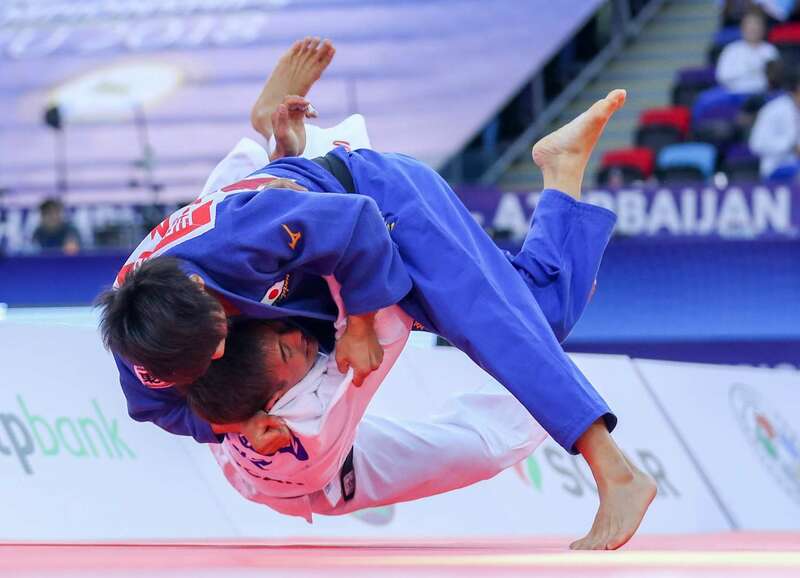 The South Korean, who held the world title in 2015, is now a two-time world medallist having defeated the impressive Brazilian with a sode-tsurikomi-goshi which earned a waza-ari score. In the second bronze medal contest 2009 world champion Georgii ZANTARAIA (UKR) defeated FLICKER who endured back-to-back losses in the final block. ZANTARAIA is simply a master of his craft and a legend in the sport and added one more world bronze to his incredible collection of honours after throwing with an uchi-mata which was worth a waza-ari score.